The Architecture Modernization Task Force issued a Software Modernization whitepaper. The Object Management Group’s Architecture-Driven Modernization Task Force recommended, and the Platform Technical Committee issued, the Knowledge Discovery Metamodel Request For Proposal (RFP). The objective of this RFP was to provide a common repository structure to represent information about existing software assets and their operating environment. The goal of the Knowledge Discovery Metamodel was defined as exchanging information related to transformation of existing software assets. The RFP stated that the KDM shall provide the ability to document existing systems, discover reusable components in existing software, support transformations to other languages and to MDA, or enable other potential transformations. The Knowledge Discovery Metamodel will also enable information about existing software artifacts to be exchanged among different tools. This will enable vendors that specialize on certain languages, platforms or types of transformations to deliver customer solutions in conjunction with other vendors. 12 companies collaborated to prepare a joint response to the KDM RFP. The original team was extended by BluePhoenix, Delta Software Technology, Northrop Grumman, Tactical Strategy Group, The Software Revolution, TATA Consulting, and Unisys. Unfortunately, by that time the DSTC ceased its operations, and left the consortium. More than 30 organizations from 5 countries have contributed to the development and review of the Knowledge Discovery Metamodel specification. Dr. Nikolai Mansourov (at that time – Klocwork, now KDM Analytics), was the Coordinator of the joint submission team. 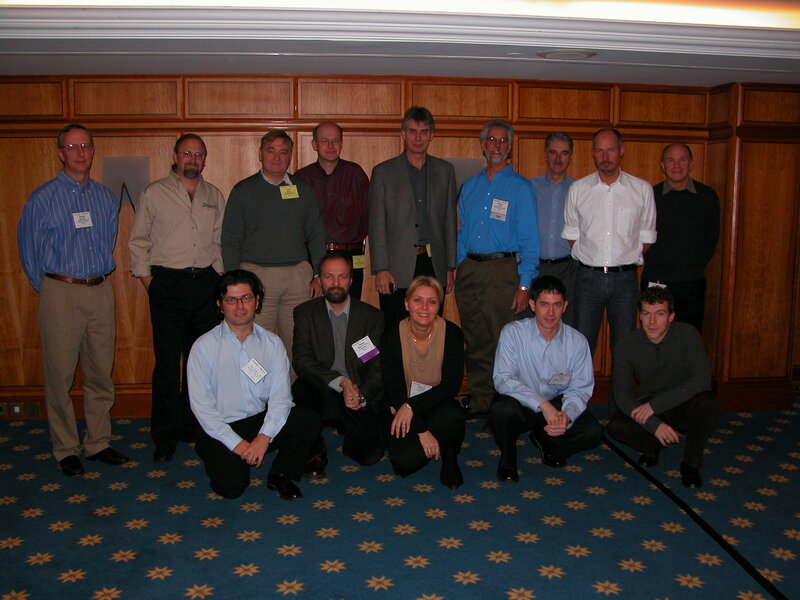 See collection of the logos from the KDM Tutorial in December 2005, at the Burlingame OMG Technical Meeting. The Team’s submission — the Knowledge Discovery Metamodel — was adopted by the OMG and moved into the finalization stage of the OMG’s standards adoption process. The OMG adopted Specification for KDM became publicly available (OMG document ptc/06-06-07).